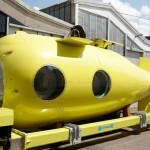 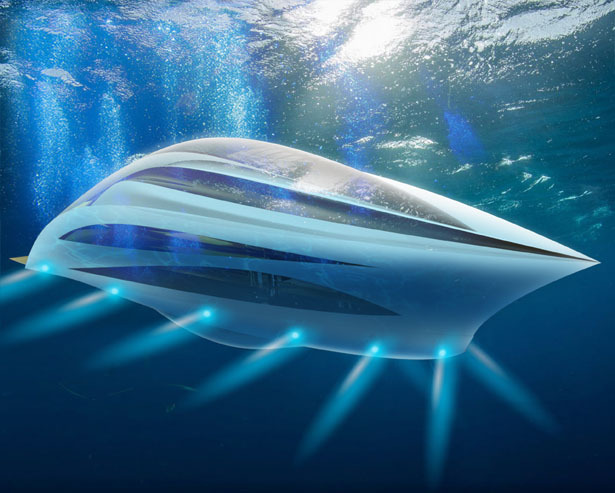 LEAF is a 30m submarine superyacht concept as part of Matteo Inzitari’s second year university project. 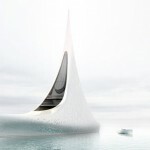 I took the idea by observing the leaves floating on the water, those long and tapered leaves, like spinning natural boats. 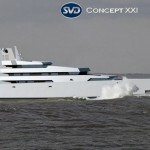 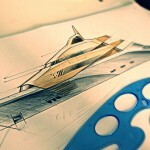 This thought and my passion for the yachts gave rise to the project. 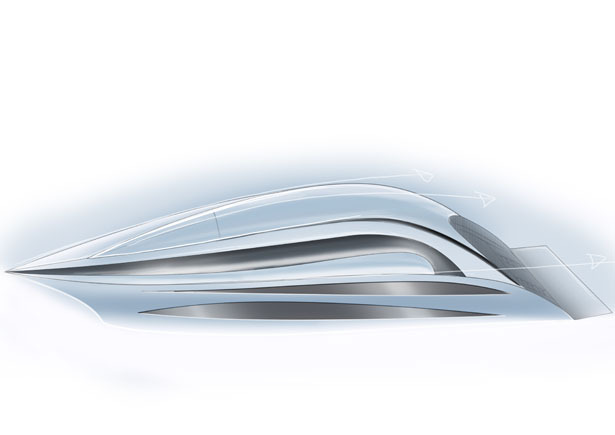 After studying the shape, I developed the 3D model in Alias: I wanted to create a synergy between glass parts and structural parts, making the glass parts look like the ribs of a leaf. 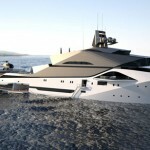 LEAF yacht design features three levels: the first level is dedicated for all mechanical parts, the second level is the cabins for the crew, and the third level is the living space for the owner and passengers. 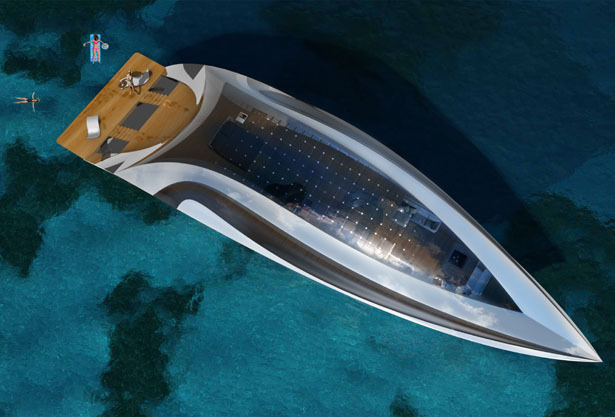 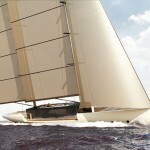 This yacht is designed with solar panels roof, it harnesses solar power to complement the yacht needs for electricity. 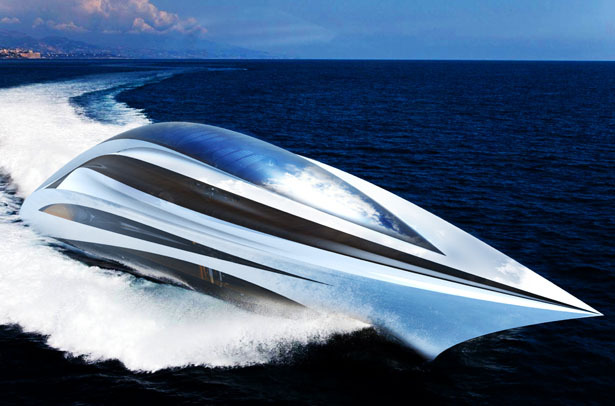 The brain of this yacht is equipped with artificial intelligence technology, with the help of an accurate satellite system, it is able to choose the route to avoid storms or hurricanes as well manages all electronics of the yacht. 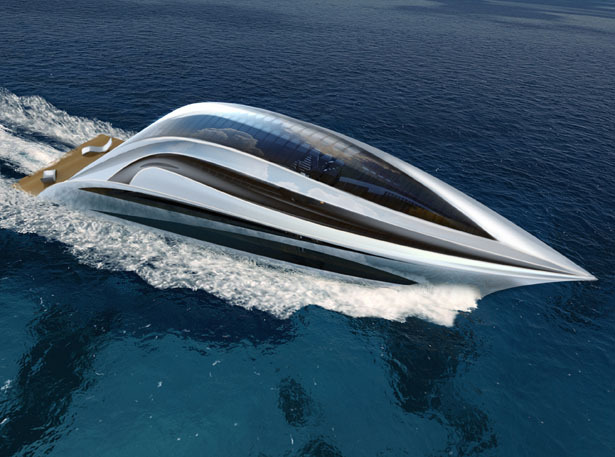 LEAF Superyacht by Matteo Inzitari is not just a luxurious yacht, it’s a submarine superyacht that is able to dive a maximum of 100m depth. 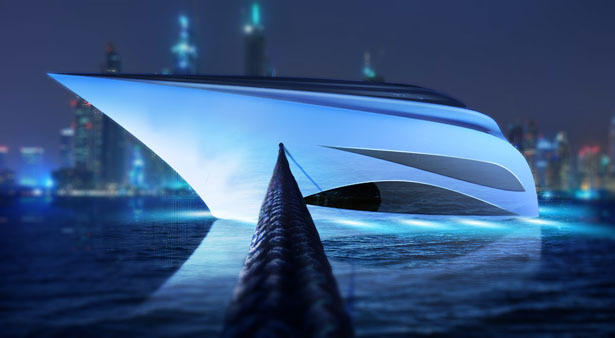 It allows passengers to experience dining surrounded by exotic marine species. 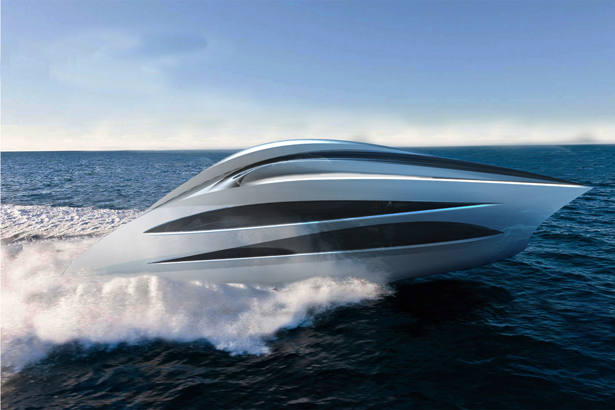 It’s an all electric yacht, so it won’t pollute the ocean. 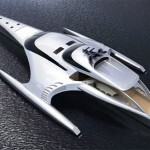 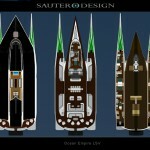 Tagged as futuristic submarine superyacht, leaf inspired superyacht design, modern yacht designer.